Salt is an essential element in the diet of not only humans but of animals as well. Use of natural salt in the human diet is as old as human history. Natural salt is one of the most effective and most widely used of all food seasonings and natural preservatives. It has been used to preserve Egyptian mummies. Organic salt cannot be ‘organically grown’ because it is a mineral not a plant. 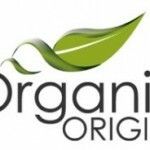 When salt is certified organic the certification refers to the process of collection of sea salt. The saltworks must be located in a nature reserve, without risk of pollution to the water, the salt must be produced by hand, without purifying the salt or including any additives, and it must fulfil the high standards in chemical analysis. 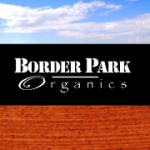 Packing procedures and facilities must comply with standards set by the organic certifiers. addition of free flowing agents, inorganic iodine, plus dextrose and bleaching agents. Potassium iodide is added to avoid iodine-deficiency diseases of the thyroid gland, but due to the high salt diets in Western countries this practice has led to a large increase in hyperthyroidism conditions. The problem with salt in our diet is not the salt itself, but the condition of the salt we eat and the quantity of salt we consume. Table salt no longer has anything in common with the original natural crystal salt. Salt today is 99.9 percent sodium chloride. It has been ‘chemically cleaned’. Organic sea salt is 98 percent NaCl and 2 percent made up of 80 elements. The common table salt we use for cooking has only 2 or 3 elements. One element absent from table salt but present in organic sea salt that is important for human health is magnesium. Magnesium deficiency is the cause of many health conditions. Magnesium salts are needed to stimulate white blood cell activity, to promote the action of vitamins, and to enhance the effect of numerous diastases such as alkaline phosphatases. Magnesium salts also have an important role in glucose metabolism and phosphocalcium metabolism. Salt and water regulate the water content of the body. Water itself regulates the water content of the interior of the cell by working its way into all of the cells it reaches. Once in the cells water cleanses and extracts the toxic wastes of cell metabolism. Salt balances the amount of water that stays outside the cells. Good health depends on a delicate balance between the volume of water inside and the volume of water outside the cells. This balance is achieved by unrefined salt ie sea salt. As consumers become more aware of the benefits of organic sea salt they have moved into gourmet sea salt. These specialty salts include organic sea salts from certain regions that carry their own distinctive colour and flavour and crystal sizes.